Your Middletown home or business is a vastly important investment. You and your family rely on your home for comfort and security. You, your family, and your employees depend on your business for their livelihoods. Because these properties are so important, it is imperative that you take the proper steps to keep them protected. When people consider the preservation of their homes, they often only focus on the exterior structures that provide protection against adverse weather conditions. Your roof and siding are absolutely paramount when it comes to property preservation; however, there are some interior conditions that should also be maintained. Our Middletown Attic Ventilation and insulation services are necessary to preserve and to protect your property. In order to ensure that your property has adequate attic ventilation and insulation, you should develop a relationship with a professionally licensed contractor who has experience with these systems. In Middletown, the roofing contractors at Serrano II Inc are the best team to consider when it comes to attic insulation and ventilation. They have over thirty years of experience in the building and construction field. Also, because they have the ability to service both interior and exterior needs, they can ensure that your roofing and attic system work together in complementary fashion. The insulation of your attic space is absolutely critical to the energy efficiency of your Middletown property. If you property is not adequately insulated, you will be wasting a great deal of money on your monthly utility bills. In addition, the interior air temperature of your home or business will fluctuate greatly. This seriously detracts from the comfort level of your indoor living spaces. 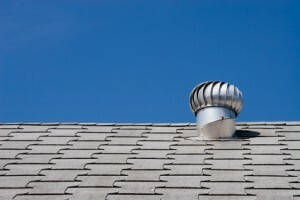 Another important aspect of your home is the ventilation within your attic. Essentially, Middletown Attic Ventilation keeping proper air circulation within the space. This is critical to both energy efficiency and to property preservation. The attic ventilation services provided by the experts at Serrano II Inc can help you achieve the following protective conditions. Proper Middletown Attic Ventilation in the winter time keeps your attic at a cool temperature. This cool temperature prevents snow from melting on your roof to recollect on the eves of your property in the form of ice dams. Ice dams can cause significant structural and water damage to your roof. During the summer, proper attic ventilation is necessary to remove superheated air from the attic space. This helps improve energy efficiency and the comfort levels within your home. In addition, proper attic ventilation reduces wear and tear on your roofing system and removes moisture from your home’s interior. If you need to hire a professional Middletown Attic Ventilation expert, then call Serrano II Inc at 845-692-2226, or fill out our online request form.